Celebrating 25 Years of Miracles with Rite Aid – Rite Aid Corp.
Rite Aid Stores Save Kids Lives! Beginning March 24 and continuing through May 11, Rite Aid is celebrating their 25th Anniversary with Children’s Miracle Network Hospitals and will be raising funds for Rady Children’s Hospital-San Diego. 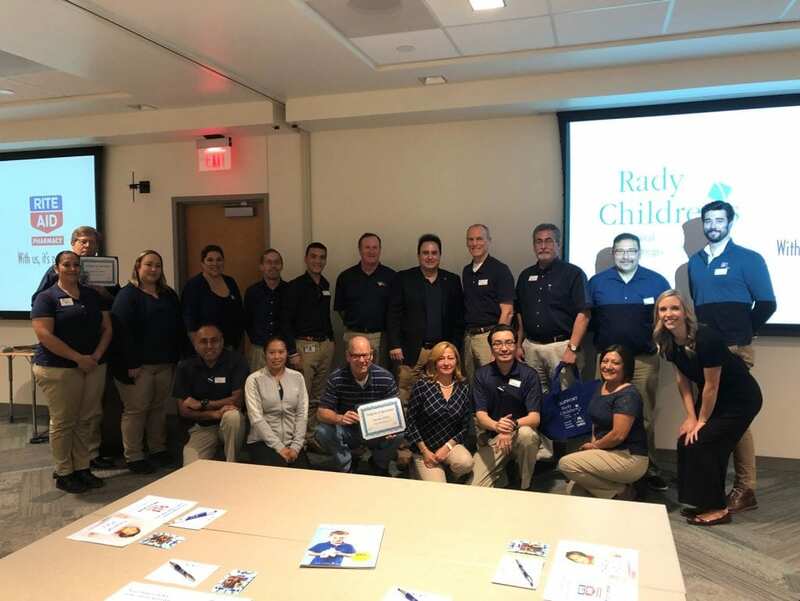 Rite Aid associates recently visited Rady Children’s to celebrate last year’s fundraising total, raising more than $300,000. They heard from a Child Life Specialist on how their funds help to create a healing environment, learned about our new 3D Innovations lab and the advances we’re making with our Genomic Medicine. Supporters of Rady Children’s can help sick and injured kids in San Diego by visiting a local Rite Aid and purchasing a paper Miracle Balloon. Customers will receive $7 in coupon offers for a variety of items sold at Rite Aid. Previous post: Two Big Updates for 2019!